March 31 is the first day of Trout season here in our area! The early warm spring weather means that the fish are active and hungry and the insects are on the move. Now is the time for you to plan your fly fishing getaway to the Yellow Breeches Creek or the LeTort Spring Run. 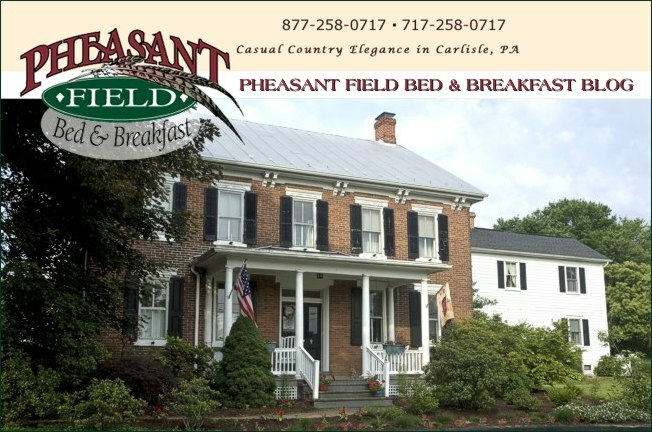 We can set you up with a great fly fishing guide service so make your reservation now at Pheasant Field B&B. The Village Artisans is celebrating their 17th Anniversary and that means fun and savings for you! There will be carrot cupcakes (YUM!) and special guest artist-in-action, Trudi Gilliam will be demonstrating her special talent. You will receive 17% off all purchases that day! Come to Carlisle and enjoy the spring flowers, specials, and fun!